When it comes to renting an apartment, whether you’re a first-timer or seasoned vet, nearly every renter knows your credit score plays a key role in determining your leasing approval. While we certainly don’t like turning down applicants at Springs, if your credit does not meet our criteria, your application will be denied.We’ve outlined a few commonly asked questions that should help you stay on top of, and improve your score. 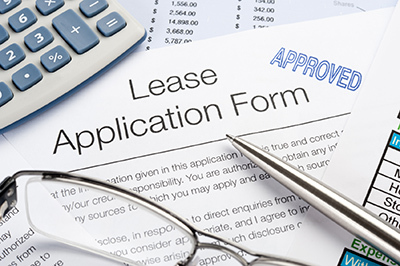 By following these pointers from industry pros and keeping up with your credit, you’ll greatly improve your chances of successfully securing a leasing approval. What’s the difference between a credit report and my credit score? According to BankRate.com, a credit report is a set of documents that tracks the status of your credit accounts, and also provides a documented history of your bill payments, loans, outstanding debt, etc. Your credit score is a number between 300 and 850 that’s indicative of your financial credit history. The better the history, the higher the score, but an average score can be anywhere from 620-680. If your score is lower than 620, you might be considered high risk. Where can I get my free credit report and score? Each year, you’re allowed to order one free credit report from EACH of the three major credit bureaus (Equifax, Experian, and TransUnion). However, AnnualCreditReport.com is the only source authorized by Federal law to provide you with a free annual update on your credit score. What do apartments look for when they check my credit? Once you’ve filled out a rental application for the apartment, the landlord will run a credit and background check to review your financial and criminal history. The credit check looks at your bill payment frequency, rental history, and any outstanding debts you’ve accumulated. However, we will NOT see any of this information, or your credit score, or any details about the approval or denial. We use outside reporting companies to run the checks and, based on parameters we have set out in advance, they return the decisions. You’ll be given an answer of approved, denied, or approved with certain conditions, and that's all we'll see. Due to Fair Housing laws, we cannot in any way influence the decision, which is why we use independent outside companies. If you have questions about your approval decision, you will be given contact information for the reporting company. To make sure that you stay up-to-date on all of your credit accounts, make sure you’re taking advantage of ordering your free credit reports. You’re legally allowed to order 3 free reports per year (with more provided for a small fee), so try spacing them out 4 months apart to stay as up-to-date as possible. Pay off your credit card balances immediately! Rather than letting your credit card debt pile up, make sure you take care of the balance immediately. Not only will you benefit from paying on time, but you’ll also benefit from the lack of debt. Limit your use of multiple cards. Not only is it difficult to keep up with a ton of different cards, but opening a new card also creates a “hard inquiry” on your credit report, which can negatively impact your score if there are too many. That being said, your report will look best if you only have a few cards that are well maintained. Please keep in mind leasing agents are not allowed to give you any advice regarding your credit history or credit score under the Fair Housing Law, which is why we’ve provided a few resources so you can do your homework. By being responsible with your bill payments and quickly paying off your debts, you’re sure to enjoy a healthy credit score. For more questions about Springs’ leasing approval process, please don’t hesitate to contact us today!